Agree, mighty glad you said this. Anyone else enjoy listening to the Anthology version of Oh! Darling? Not me. It's silly with "Yoko" lyrics & Paul/ John bizarre trade-offs. In AR it's rife with grit & power. Paul singing alone better suits it. You going with HCTS tells us clearly you like final "Oh Darling" too. & rate higher than HCTS (disagree with it, btw). As NOLA BB Fan, "Come Together"
The final Beatles album (though Let It Be, recorded months earlier, would be released in 1970). Abbey Road is the eleventh studio album by English rock band the Beatles, released on 26 September 1969 by Apple Records. The recording sessions for the album were the last in which all four Beatles participated. Although Let It Be was the final album that the Beatles completed before the band's dissolution in April 1970, most of the album had been recorded before the Abbey Road sessions began. A double A-side single from the album, "Something"/"Come Together", released in October, topped the Billboard chart in the US. Abbey Road is a rock album that incorporates genres such as blues, pop, and progressive rock, and it makes prominent use of the Moog synthesizer and the Leslie speaker. Side two contains a medley of song fragments edited together to form a single piece. 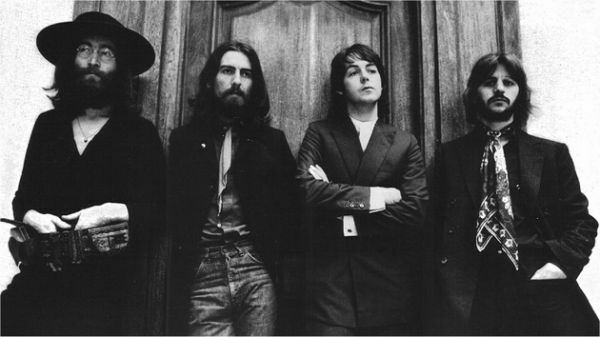 The album was recorded amid a more enjoyable atmosphere than the Get Back/Let It Be sessions earlier in the year, but there were still frequent disagreements within the band, particularly over Paul McCartney's song "Maxwell's Silver Hammer". John Lennon had privately left the group by the time the album was released and McCartney publicly quit the following year. A 16-minute medley of several short songs comprise the majority of side two, closing with the lyric "and in the end, the love you take is equal to the love you make". 11 votes spread across all 4 songs. FINAL THREE!!!! VOTE FOR which of the remaining songs is YOUR FAVORITE!!! I love Something. I agree with Frank Sinatra when he said it was one of the greatest love songs ever written... but it's not my favorite on the album. I also love Come Together. But my vote this final round for SURVIVOR of ABBEY ROAD has to go to something which I always find uplifting no matter how many times I hear it. The Beatles Survivor #5 Winner: HELP! John said in some interview somewhere that Paul should have given the lead vocal to him and after hearing the Anthology version of Oh! Darling, I have to agree. Wow, three great songs. Decisions decisions. Nice to see George get two songs in the top three. Don't know why people dislike Paul's lead in "Oh Darling" & wish John sang it instead. Paul sings with gusto, energy, what else can you ask? I like Paul's lead on Oh Darling. However, I do think that the song would be better suited for John's vocals. I thought the same thing after I heard Honey Don't on the BBC Sessions. I like Paul's too. I agree it's full of gusto and energy. Paul sings it with desperation (in a good way). What more can I ask? John sings with soul. He sings it like he is groveling back to his woman after doing something really bad. Either Something or Here Comes the Sun. I'll go with Here Comes the Sun. If you're into all things Pink Floyd, check out this forum I created with a few mates. Be sure to spread the word while you're at it! We are tied at 7 votes for both Something and Here Comes the Sun. What if nobody else votes? Is it OK to have a tie? IMO they both should get top billing anyway! Interesting thought. May happen. If no one votes within 12 hours we can declare a tie. How does everyone feel about that? 16 votes spread across2 songs. There was Something in the way George wrote this song that moved 7smilers like no other song on the album. Powered by SMF 1.1.21 | SMF © 2015, Simple Machines Page created in 0.128 seconds with 22 queries.